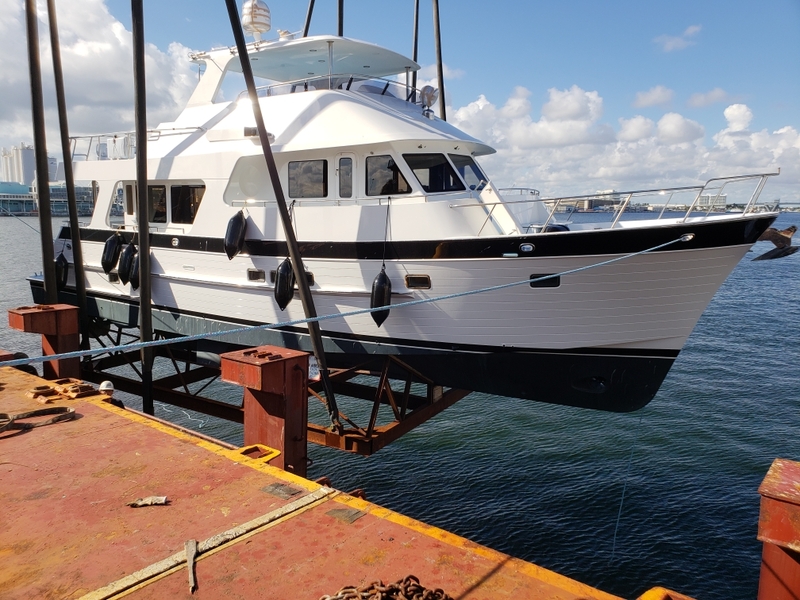 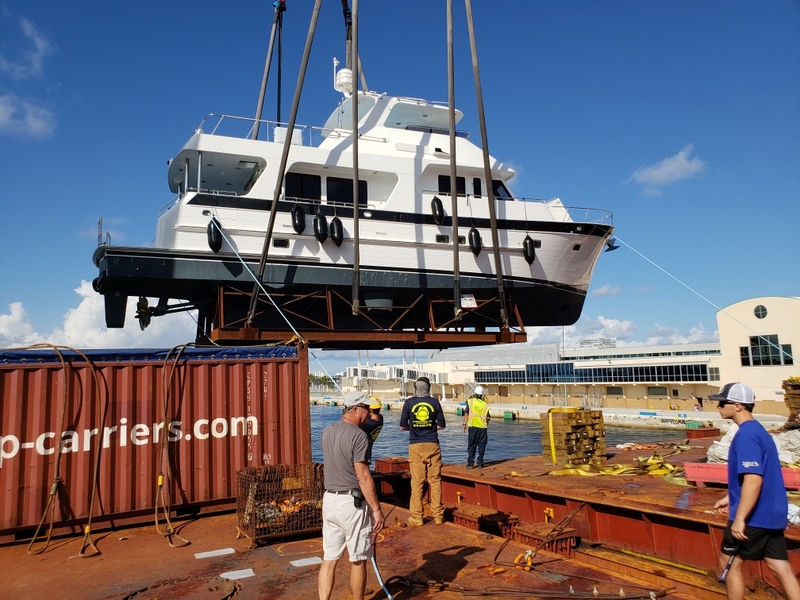 Photographed here is a brand new 610 Outer Reef Motoryacht during the offload process in Fort Lauderdale, Florida – a stunning yacht to be unveiled at the 2018 Fort Lauderdale Show. 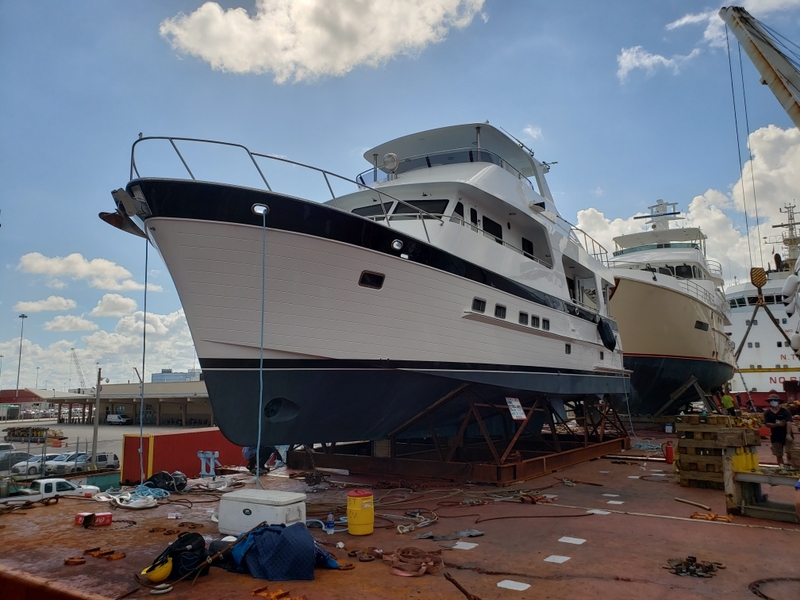 Combining the owners' love for horses and yachting, the new yacht called "EQUIESSENCE" will reflect the owner’s definition of the name: The joyful acceptance that life is made richer by the love of fine horses and beautiful vessels. 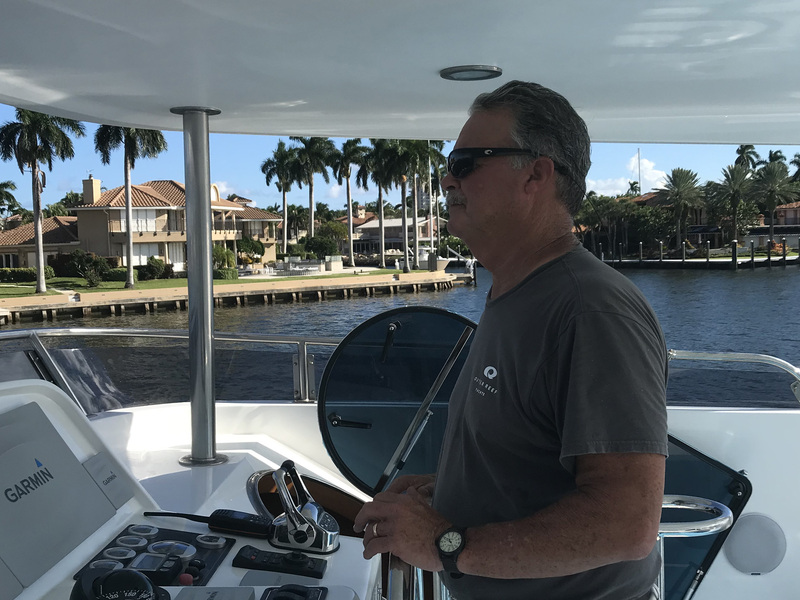 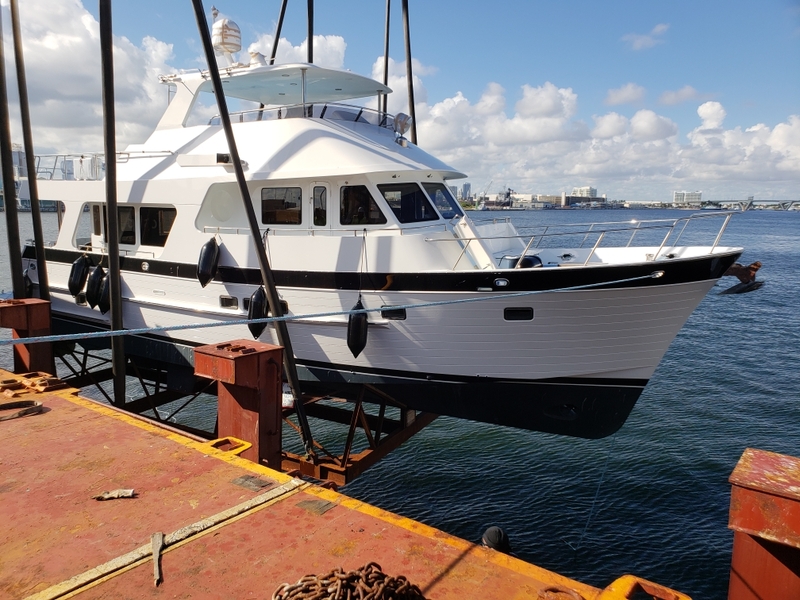 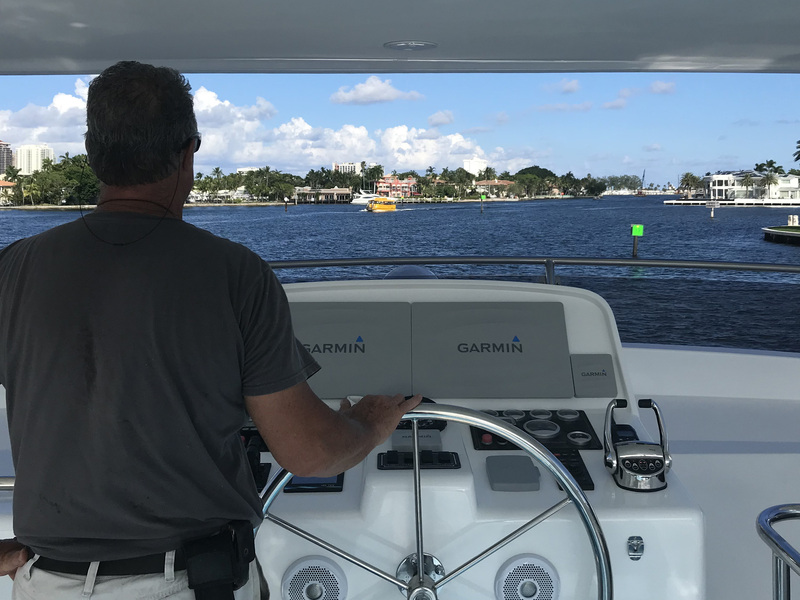 Built to unlimited Ocean Category A Standards, this high quality pilothouse yacht provides great fuel economy, range, storage and is perfect for adventurous owner-operators.